Ian has had over 15 years of banking experience across a broad range of disciplines including business banking at a regional and corporate level in Australia with a strong agribusiness focus. 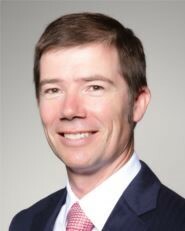 Ian also brings with him considerable expertise in international investment banking. This includes money market dealing and bank balance sheet risk management. Ian also guided London’s UBS fixed income and derivative team through the Euro Conversion process in 1999. Ian grew up on a 28,000 acre sheep station near Hay running 15,000 merino sheep and 1,000 acres of irrigated cereal and oilseed cropping. Ian inaugurated and is a director of Robinson Sewell Partners; an Agribusiness Debt Advisory firm that has settled in excess of $200,000,000 of transactions over the past 2.5 years. He is passionate about corporate finance and agribusiness investment and these combined areas of expertise give Ian a competitive edge in providing successful financial services and executing investment strategies to his corporate client base.